Fingerless construction at the index finger and thumb make texting in the cold a snap. 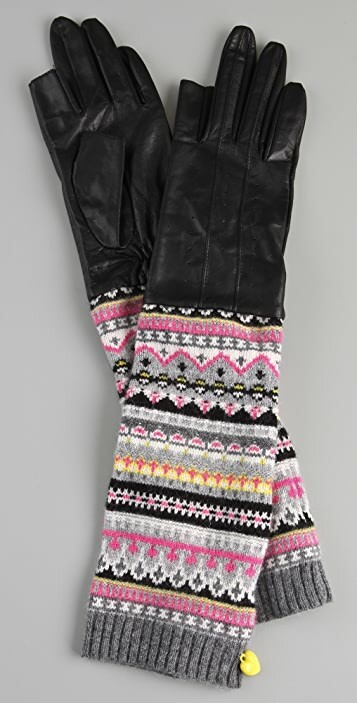 These perforated leather gloves feature Fair Isle knit trim. Smocking at wrists and logo charm at ribbed edges. Lined. Packaged in a logo gift box. 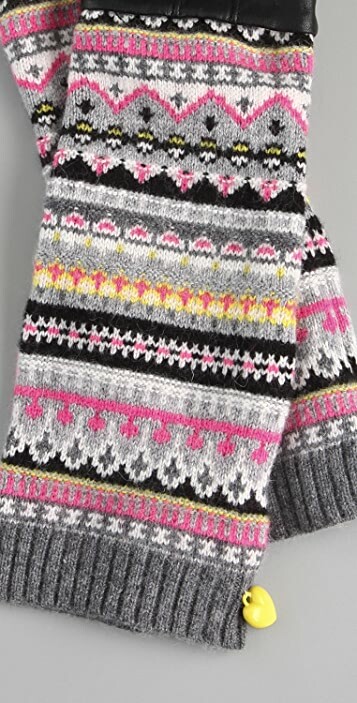 * Trim & lining: 35% wool/30% viscose/20% nylon/10% angora/5% cashmere. These nifty little gloves are a great idea - especially if you're on the go and always have the need to text. 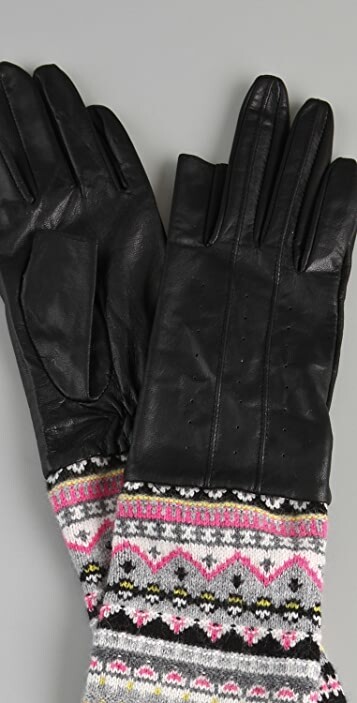 They fit great and the leather is super soft - the wool design also adds that something extra that differentiates themselves from all the other regular black leather gloves out there. The only thing I would have loved on these is the 'option' to have your fingers exposed when it's time to text and warm and covered when you don't.